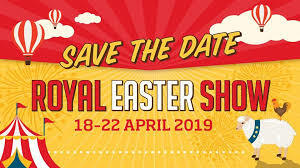 Every Easter, the country and city join together at Sydney Showground, Sydney Olympic Park, for twelve days of agricultural competitions, animal experiences, live entertainment, carnival fun, shopping and much more. Comfort Burwood and Suites is an affordable , friendly and comfortable motel that is situated only 15 minutes away from Sydney Olympic Park. This is the motel of choice for families and anyone visiting Sydney for the Royal Easter Show. If you are coming to Sydney, book your accommodation with us today.